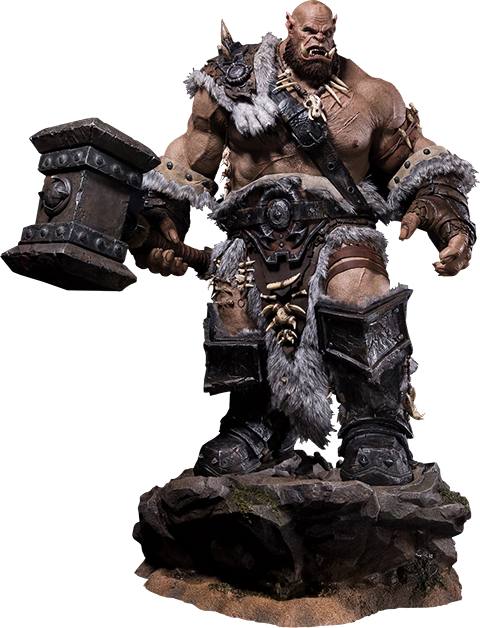 The burliest Frostwolf in several generations, Orgrim is fearsome in battle, where he wields his namesake the legendary Doomhammer. 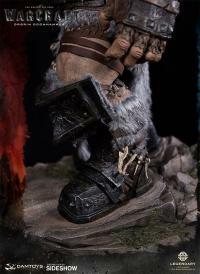 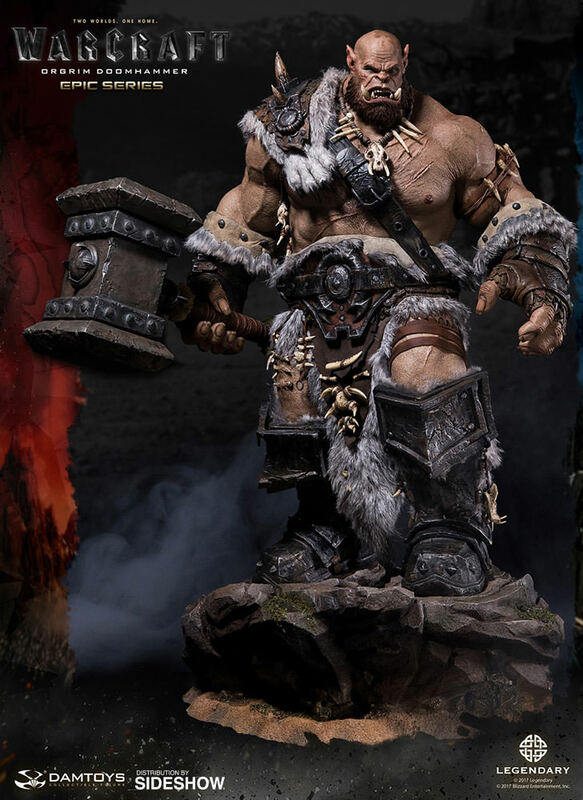 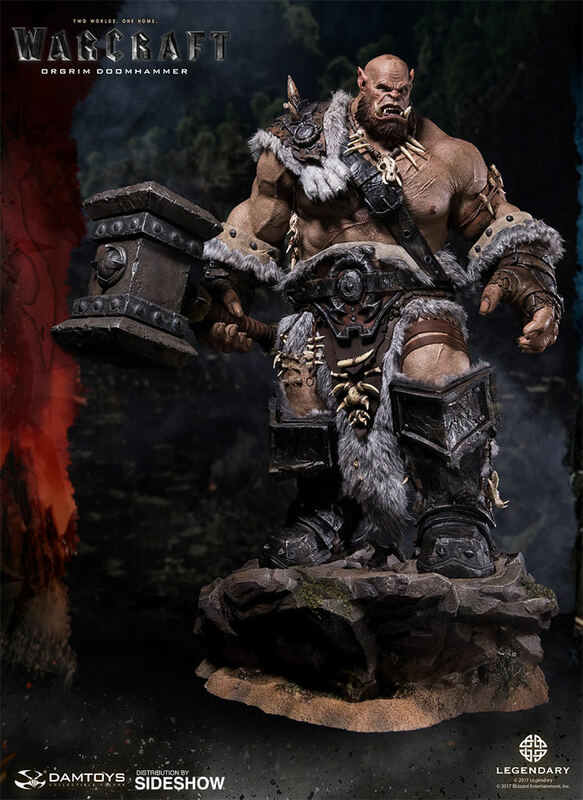 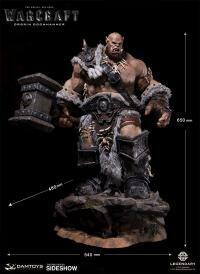 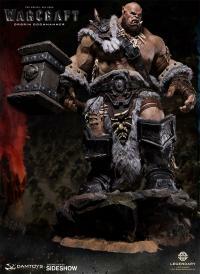 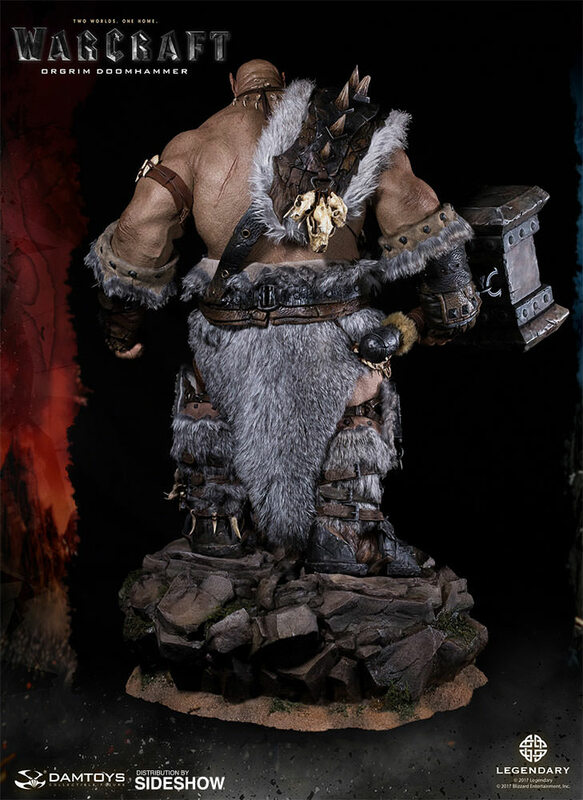 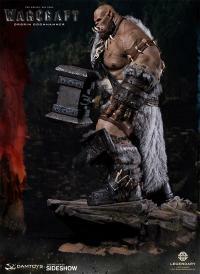 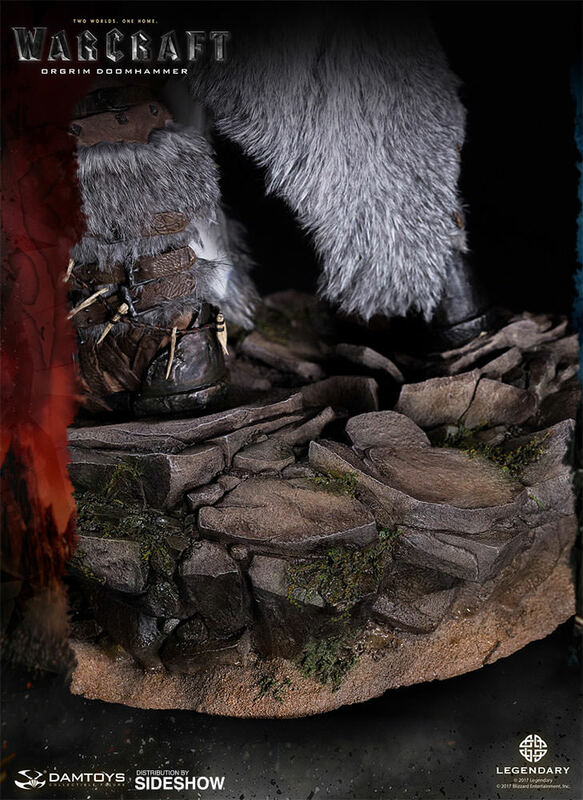 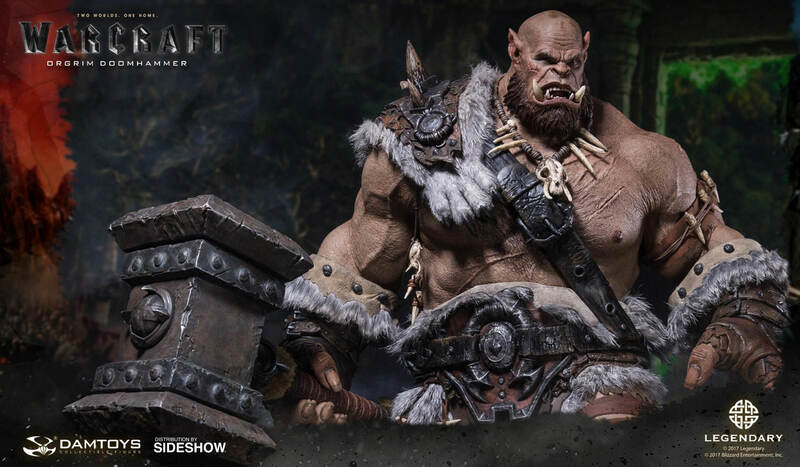 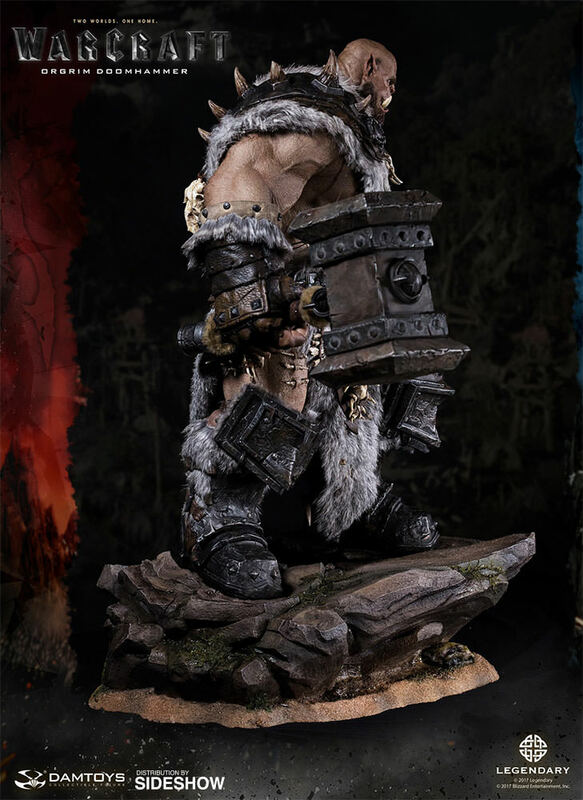 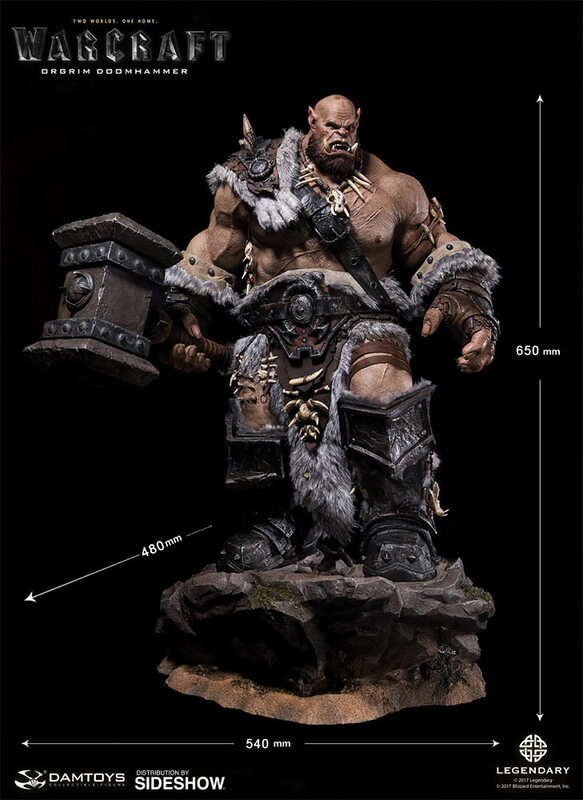 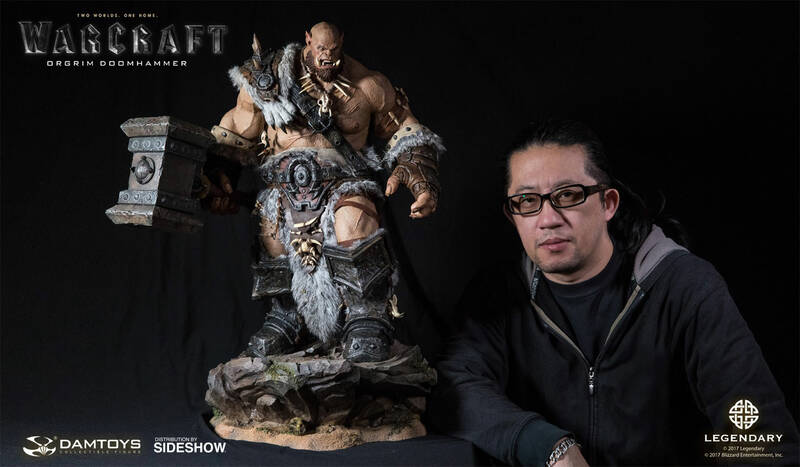 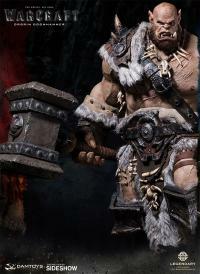 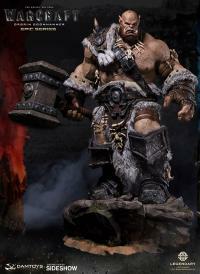 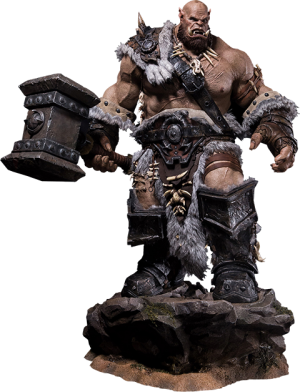 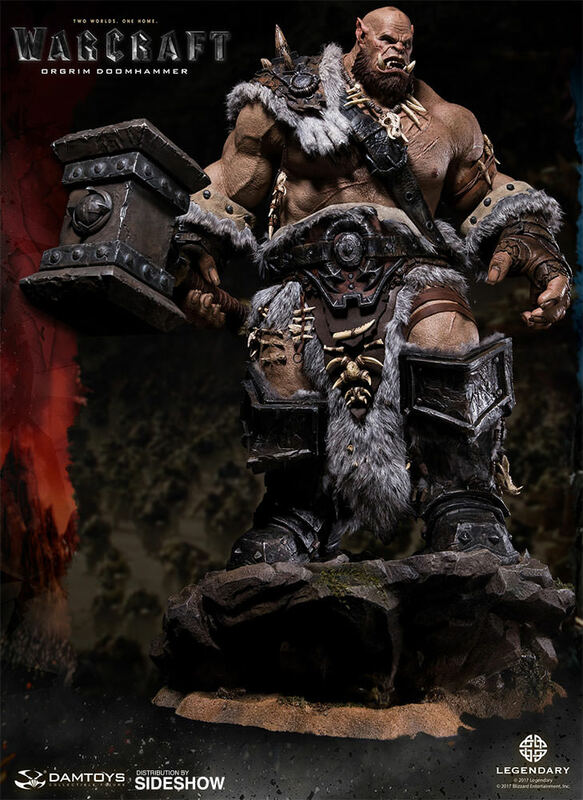 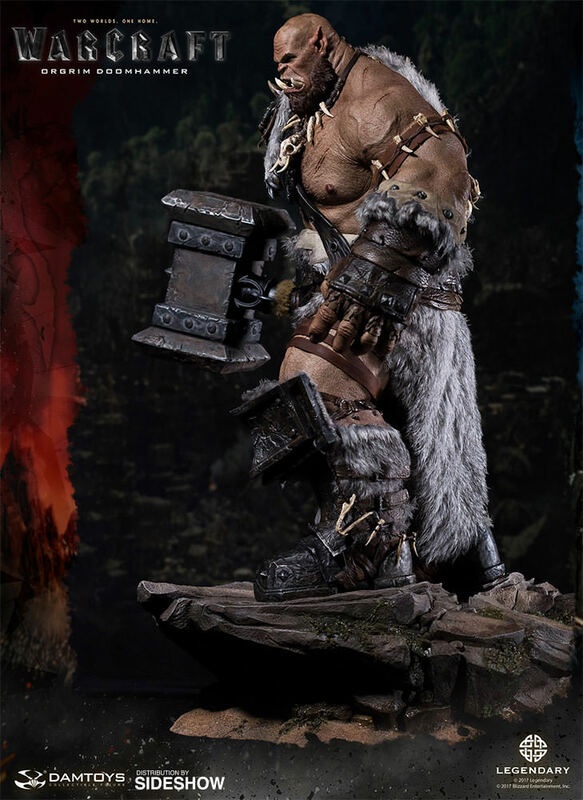 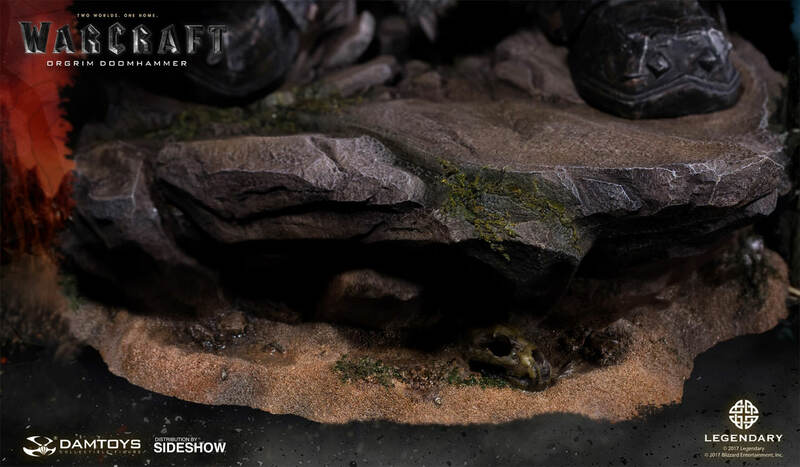 As Orgrim, along with Durotan, leads the Frostwolf clan through the Dark Portal to Azeroth, he stands on a rock of the land, brows furrowed, face filled with his alertness to the unknown world, and his aggression. The outfit of the statue is made with faux fur, leather, and plastic to represent the rich details seen in the movie. 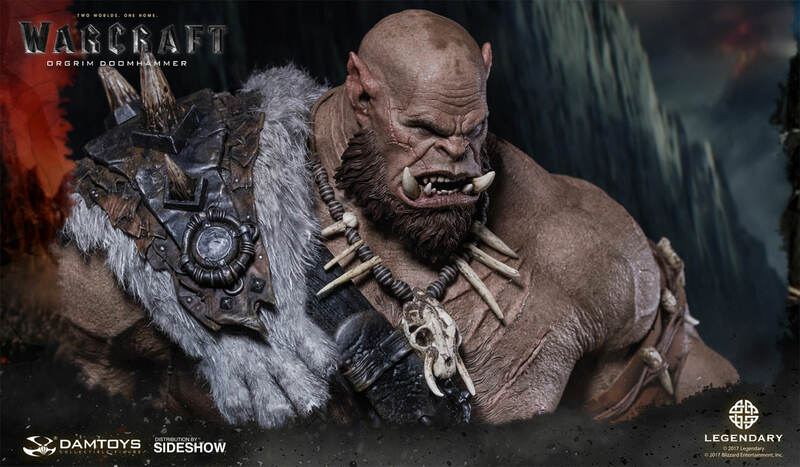 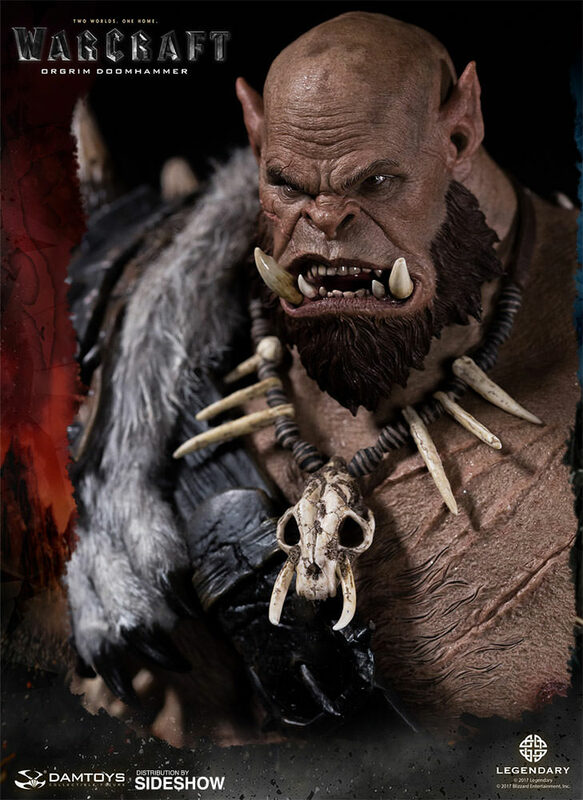 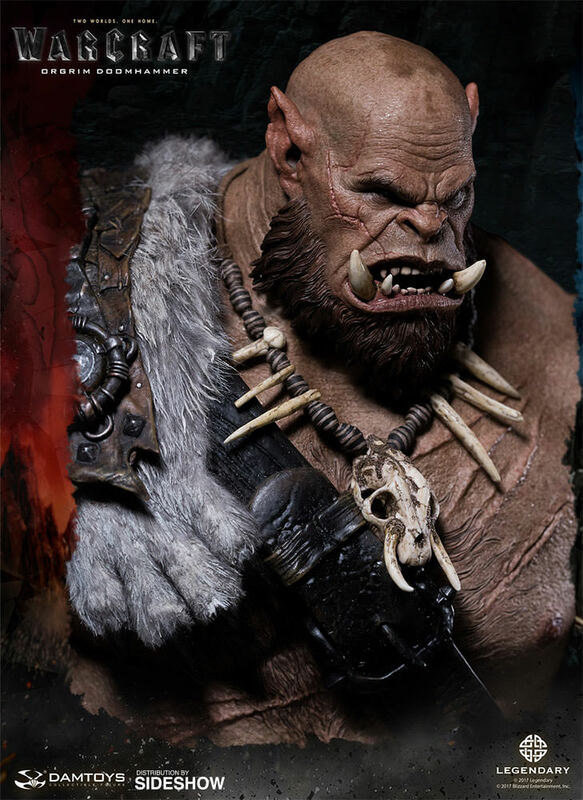 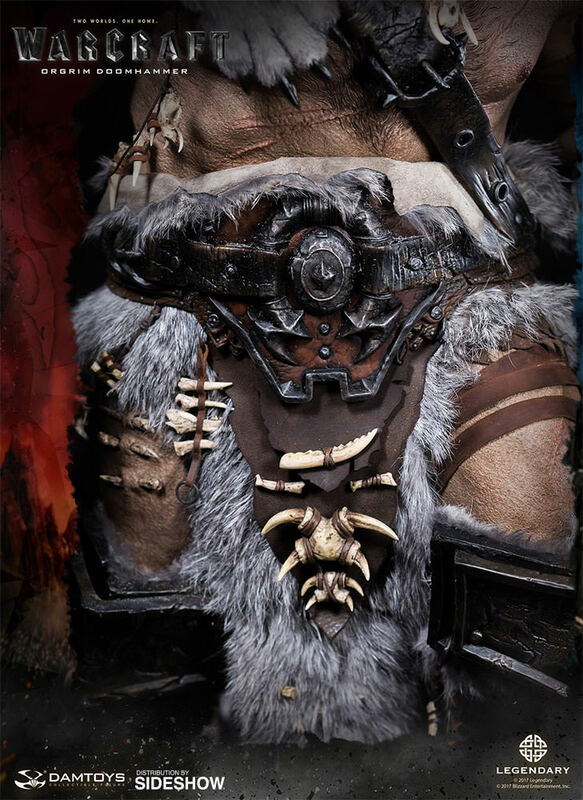 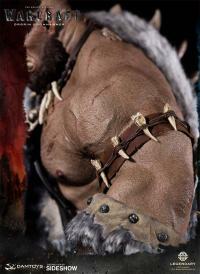 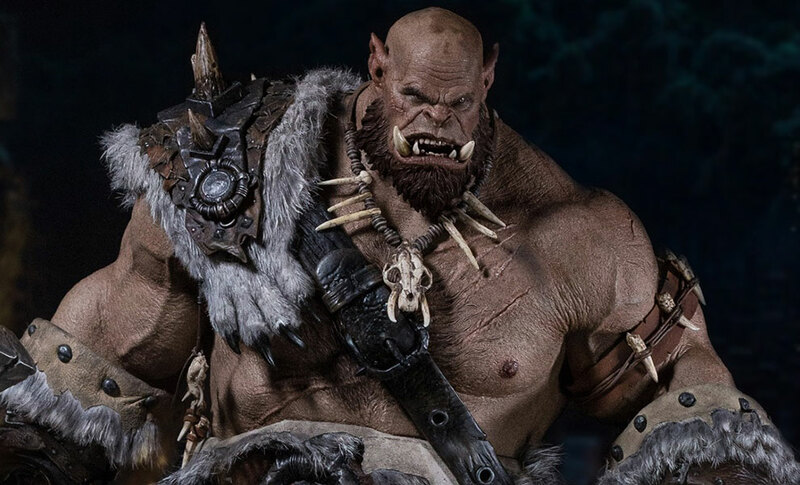 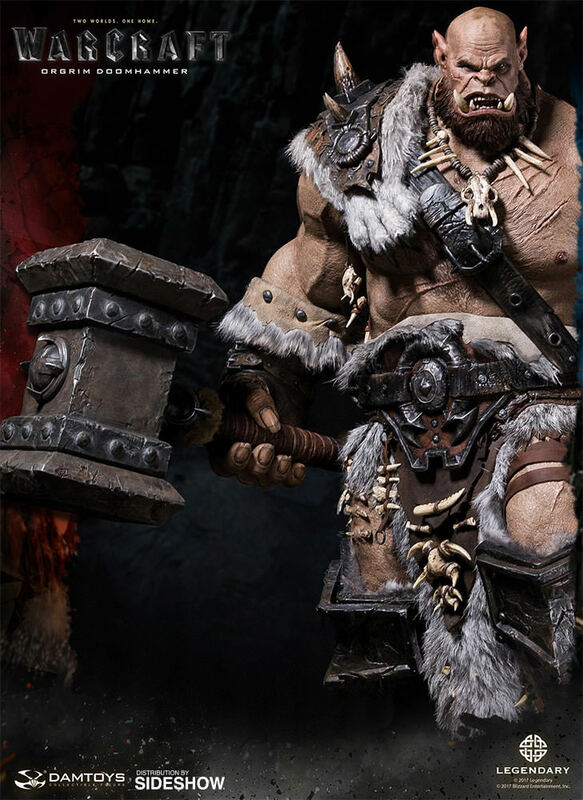 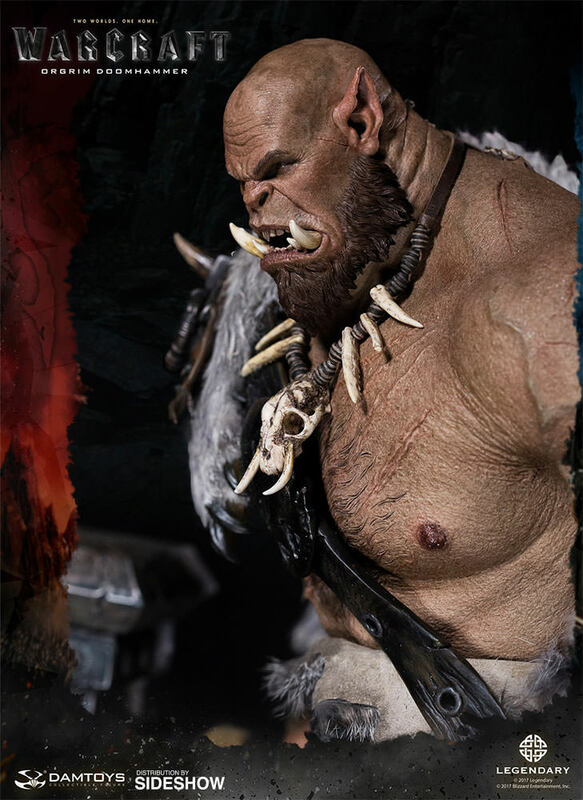 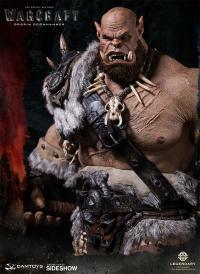 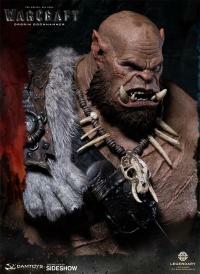 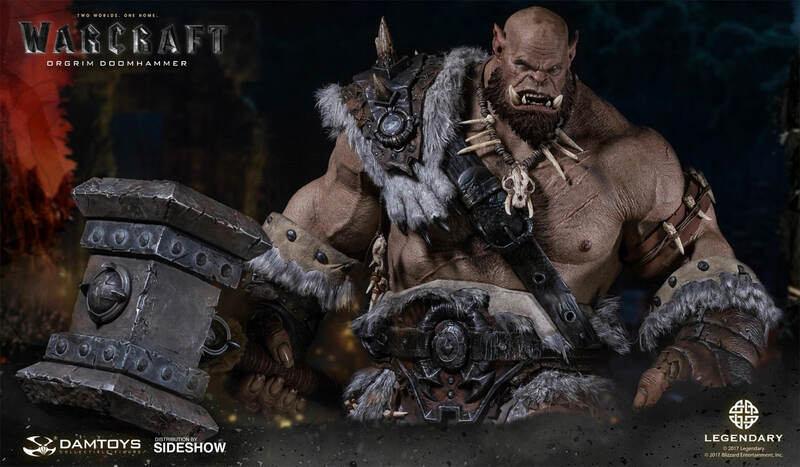 Bone necklaces consist of separated bone parts linked with a leather strap, the wolf claw on Orgrim’s shoulder is made up of built-in bones set in faux fur. 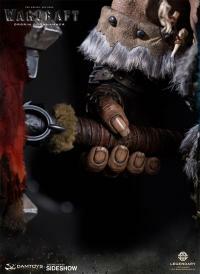 (c) 2017 Legendary (c) 2017 Blizzard Entertainment, Inc.